Whether you’re having cosmetic surgery for the first time or the tenth and you’re looking for somewhere new, you’ll want to ensure that you’re using a cosmetic clinic that’s reputable and trustworthy. Here's what you need to keep in mind, if you are in UK. Read ON! Whilst cosmetic procedures have become increasingly less invasive over recent years, there are still many things that can go wrong with the surgery if not carried out correctly. From Botox to laser hair removal, every last second of the procedure needs to be carried out professionally, otherwise you’ll be putting your appearance and, in severe cases, your life on the line. However, don’t panic, as we have the some top tips on how to choose a reliable cosmetic clinic to help give you peace of mind that you’ll be in experienced hands. It’s worrying how many people actually have their cosmetic procedures carried out by an unregistered clinic, and whilst these are sometimes the cheaper option, you should never take that risk. At a bare minimum, all surgeons must be registered with the GMC to carry out a cosmetic procedure in the UK, however this could differ across the globe. Medical tourism has been at an all-time high recently, so if you plan to partake, it’s paramount that you conduct your research into abroad clinics and ensure that they’re registered under the correct regulations. Alongside the surgeon that you’re using, you should check the clinic as a whole, and ensure it’s registered with the Care Quality Commission, which is the independent regulator of health services that resides in England. Of course, finding a reliable clinic can be difficult, especially if this is your first experience with cosmetic surgery. Therefore, one of your best options will be contacting your GP and discussing the appropriate actions to take with them. Your GP will have all of the knowledge that you need, and it’s important to remember that they’ll know your medical stability more than anyone else. Whilst most cosmetic procedures are non-invasive, there are still health risks associated with them, so your GP can outline any potential risks that correlate with your current medical condition. Plus, it’s highly likely that your GP will be aware of any local, reputable clinics that will be more than capable of carrying out your cosmetic surgery. Even the most simple of cosmetic surgeries have their complications, so you’ll want to know what to expect before you blunder head-first into your chosen clinic. 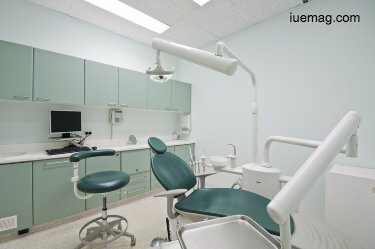 You’ll want to receive every possible detail about the procedure that you’re going to undergo, and if this isn’t done without a prompt from yourself, this is already an indicator that your chosen clinic or surgeon is unreliable and likely not properly registered with the appropriate establishments. A reliable surgeon will understand the hesitations that a patient may have, so you’ll want to ensure that the surgeon gives you time to consider the procedure, and that they don’t force the procedure on you straight away. Just these tiny details concerning the procedure will immediately tell you whether or not you can trust the clinic. Only reliable clinics will keep you in their care until they’re completely sure that it’s safe to venture off back into the world again. You’ll want to find out as much as possible about the aftercare that they provide patients – is it effective, how long does it last for, have other patients had a good experience from it? With Botox, for example, your surgeon should conduct a follow up two weeks later to check that the results are as expected and that there are no faults associated with the final outcome. Finding a reliable cosmetic clinic really doesn’t have to be difficult, so you’ll want to make that extra bit of effort to ensure that you’re putting yourself in the most professional hands possible. It doesn’t take long, and a little bit of research could be the difference between a cosmetic surgery gone wrong and the best decision that you’ve ever made. Any facts, figures or references stated here are made by the author & don't reflect the endorsement of iU at all times unless otherwise drafted by official staff at iU. This article was first published here on 12th December 2017.